And when it reaches their guts, it breaks open its shell and unleashes infections that kill nearly 30,000 Americans a year, and sicken half a million more. But, new research shows, it can't make this last, crucial move without enough of a humble nutrient: calcium. 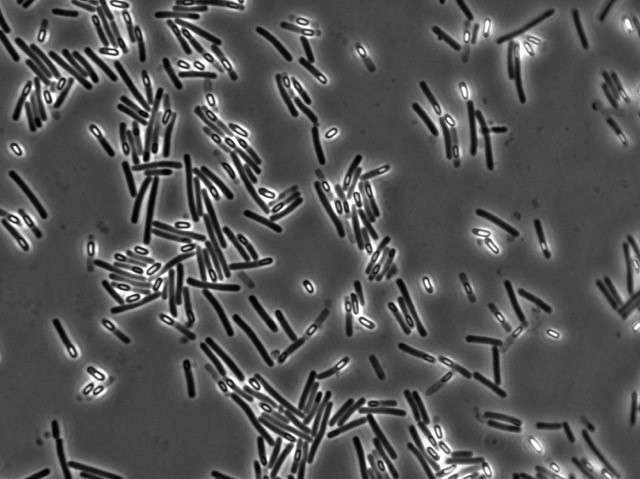 And that new knowledge about Clostridium difficile (a bacterium also known as "C. diff") may lead to better treatment for the most vulnerable patients. Medications aimed at calming acid reflux - such as proton pump inhibitors - and steroids can increase the amount of calcium in the gut. A Vitamin D deficiency can keep the body from reabsorbing calcium through the gut wall, allowing it to build up. And people with inflammatory bowel diseases such as Crohn's and colitis also have a harder time absorbing calcium from food through their gut walls. Older adults are also often counseled to take calcium supplements to compensate for lower calcium levels and protect their bones from fracturing.